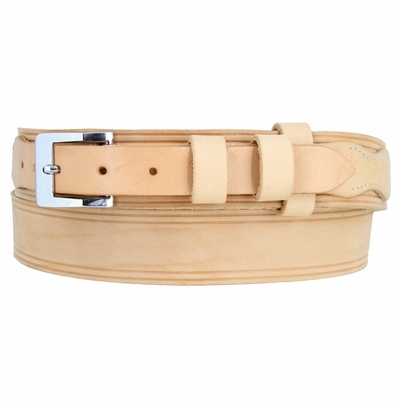 Handcrafted Traditional Ranger Leather Belt. Top lay is 1" wide, stitched to the main leather strap. We make your belt with snaps for interchangeable buckles or add your favorite buckle set: Just snap off and snap on. Our belts are sized from where the buckle is attached to the belt all the way to the middle hole at the tip end.